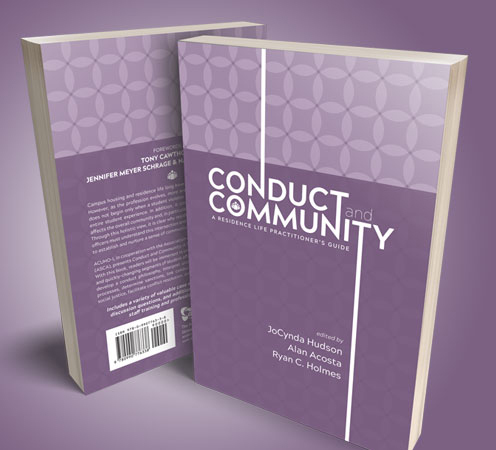 Conduct and Community puts theory into practice by including more than 100 pages of additional resources such as case studies, discussion questions, and more that will help the book serve as a professional development tool. 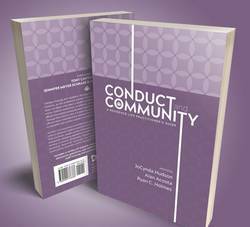 The Association of College and University Housing Officers-International (ACUHO-I) in cooperation with the Association for Student Conduct Administration (ASCA) announces the release of a new book, Conduct and Community: A Residence Life Practitionerâ€™s Guide. Bringing together contributions from more than 30 experienced professionals, the book explores one of the most visceral, challenging, and quickly-changing segments of student affairs. The book was edited by JoCynda Hudson (University of Florida), Alan Acosta (Florida State University), and Ryan C. Holmes (University of Miami) and was designed to serve as a practical resource for higher education professionals while filling a significant gap in the literature about student conduct in the on-campus residential setting. With this work, the editors and authors build off the research that indicates living on campus has a positive correlation with college studentsâ€™ success on a variety of metrics, including enrollment, retention, and graduation rates. While numerous aspects of the campus residential experience and their connection to student learning and success has been studied, an examination of the student conduct process is a critical part of the college student residential experience that remains underrepresented in the literature. While practitioners can draw on numerous scholarship options about the broad topic of student conduct, little information exists specifically on the intersection between student conduct and college and university residence halls, and how those dynamics influence the work of residence life professionals and the experience of the students living in the residence halls.